If your prospective clients are unable to find your event website or portfolio through Google, how do you expect people to know more about you? How do you expect your site to perform as it should when it can’t generate enough traffic? Search Engine Optimization is necessary to the success of your event. A good understanding of how your audience looks for your services through the world wide web is crucial to your event planning gig. So in all reality, SEO is more than just a strategy for rising to the top of the search engine result pages. Event planners need it to generate leads, make it easy for prospective clients to find them, provide fresh and valuable content that will boost your services’ rankings in the long run, etc. Not Just A Box Events is an event planning company that specializes in organizing every couple’s dream wedding. It was established and found in October 2010. NJAB Events boast a team of passionate people working together to fulfill a couple’s once-in-a-lifetime dreams. But in order to make that passion known, the NJAB Events team had to stand out from the rest of the crowd. When it comes to the internet, everyone can agree that due to the massive amount of information being broadcasted every second, it’s getting more and more difficult to be noticed. What this event planning company needed was an effective local SEO strategy that would drive prospect clients to their doorstep. In 2015, Not Just A Box Events came to us looking to gain more notoriety, more frequent businesses, and to climb the top of local searches. And to create a responsive website that properly showcases their services. With these objectives in mind, our team set out to fulfill the objectives and bring NJAB the results they wanted. In the age of the 20th century, it has become extremely important for any kind of business to have nice-looking, easy-to-use responsive sites. It’s not hard to figure out that many people check a company’s online presence along with your competitors before they decide to hire your services or fill out your onsite form. For an event planning site with big dreams, a simple blog style format site just doesn’t live up to the NJAB vision. It needed something more aesthetically pleasing — functional, responsive, as well as purposeful. Reflect NJAB’s works as well as their expertise. As we redesigned their website through our web design services for wedding planners, we found the importance in reassessing NJAB’s goals and strategies along with a visualization of the kind of impression they want to leave in their site visitors and customers. Because when you do redesign right, your website can be your 24/7 salesperson. To fulfill the goal of ranking on local search engine results with their primary keywords (i.e. wedding planner, wedding planning in Iloilo, & Iloilo wedding planner), onsite SEO was necessary. 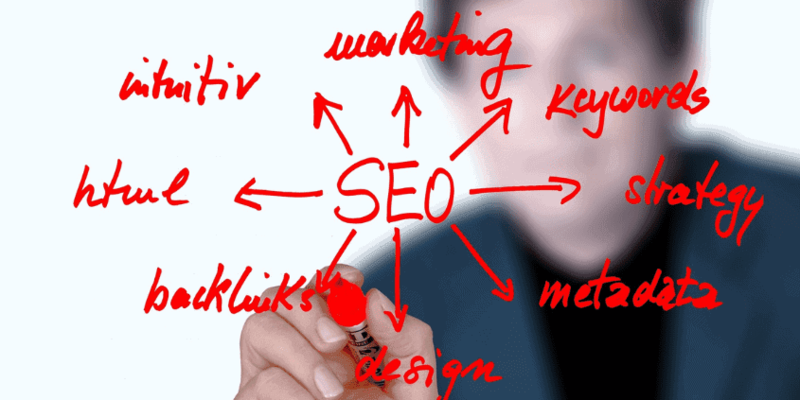 In very simple words, onsite SEO is the process of making your website search engine friendly. This means certain elements on your website need to be adjusted so search engines can crawl them, and understand the website’s content and structure. As they gather more information and data from your site, the greater the chances of ranking higher in the index. Meta tags offer more details about your site to search engines and website visitors. They can be optimized to highlight the most important elements of your content. In addition, they also make your website stand out in search results. Search engines value a good user experience, so that means your site must satisfy a user’s query as best as it possibly can. Title tag: It’s one of the first things users notice in the SERPs. The title tag offers a preview of what your content is about. Meta description: It is necessary to optimize the meta description, and that means this tag should provide an accurate description of the content on the page. Usually, it’s the tag that determines whether or not users will click on your page. Header tags: These tags are part of your content. They are headings that you use to structure your page. Besides making content easier to read, header tags also help search engines understand what the content is about. That’s why, most of the time, it is highly advised that the focus keyword appears in any of the header tags. 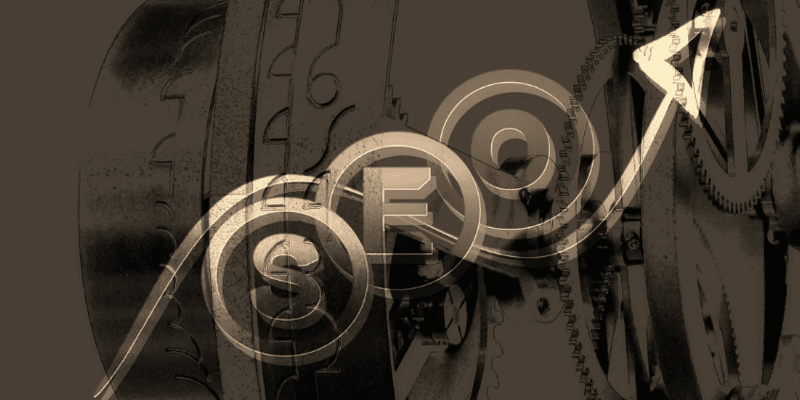 Keywords: It’s one of the most important parts of SEO. And typically, it’s necessary to select keywords that are relevant to the page in question. Optimizing web images is the process of delivering high-quality images in the right format, size, resolution, and dimension. You have to do all this while keeping the smallest size possible. Technically, image optimization can be done in many ways. Whether it’s through resizing, caching, or compressing the size, you have to find the right method to use to preserve the quality. Image Compression: This method of image optimization reduces the size in bytes of a graphics file without degrading the quality of the image. The reduction in file size will allow you to store more images in a given amount of memory space. Alt text: This provides a text alternative to images which will be displayed if the image doesn’t load. In addition, it also tells search engines what the image was meant to represent. Include keywords if it’s necessary because overstuffing it will just harm the user experience for your visitors. Google stated long ago that ‘content’ is among its top three ranking factors. And because the content is evidently important, it needs to be optimized well. Useful and informative: Include the location, hours of operation, contact information, news, and every other type of information you feel your audience would need to know. More valuable and more useful: It’s a fierce competition. When you write content, make sure it’s not overly general. Write outstanding content that stands out from the rest of the crowd with interesting insights or brand new never-before-heard-or-seen information. Credible: Establish credibility by making use of first-hand data. Or if you take it from others, cite the sources. Engaging: Interact with your audience despite the obvious distance and electronic screen barrier. Add a flair of vibrancy and life to your site by adding appropriate images of your products or your services, your team, or even yourself as the founder. Thorough and correct: High-quality content is free of spelling and grammatical errors. Furthermore, it also links to good and reputable sources. Mindful of including relevant keywords: Examine how you use your keywords in your content. Don’t overstuff, and remember to use them as reasonably and relevantly as possible. Free Bonus: Click here to discover the 4 proven ways to improve content. It includes strategic action plan to make valuable blogging. Everybody hates slow websites. And frankly speaking, loading speed makes or breaks a website. Loading speed affects your traffic, page views, conversions, sales, and your overall reputation as a service provider. In fact, studies have shown that a one-second delay in page load time can reduce your conversion rate by 7%. Whether you’ll acknowledge it or not, website speed plays an important role in your business’ success. To test NJAB’s then website speed, we used Google’s free tool, PageSpeed Insights. The tool will analyze the page’s content and generate suggestions on how you can increase your website’s speed. Recently, one of the biggest benefits that blogging can give a website is improving site SEO. A well-managed and frequently updated blog chock-full of relevant topics for the site’s niche can increase a website’s SEO. Furthermore, with a company blog, you can increase the number of relevant inbound links that can direct readers to the main parts of the website. Your content gives your customers and prospect clients a reason to trust in you and your brand: that you are a certified expert in the field. And of course, the importance of blog writing consistently also comes from increased opportunities to increase the number of keywords available. You can devote individual posts to a wide range of keywords. One of the most easily overlooked yet the most basic SEO techniques is incorporating SEO-friendly URL structures. Good URL structure helps the indexation process of your website. But the reason why so many people get it wrong sometimes is because a URL is more than just a decoration on the address bar. URLs may look simple at first sight, but it actually contains several pieces of information. Your website’s page address, for instances, is by far the easiest part of your website that can be adjusted. And when it comes to choosing a good page name, make sure it’s usable and has the focus keyword. When you look at well-optimized sites on search engines, you’ll notice how the page address shows a portion in bold script. This makes it easy for users to identify relevant pages. And furthermore, the recommended way to split keywords is through the use of hyphens. It’s important to structure the URL in a way that its readable to both the search engine bot, and the user who sees it. Part of a splendid user experience is the responsive web design. It’s an approach that makes web pages render well across all devices. That wasn’t a problem back when people only used desktop computers to navigate through the web. But when many different mobile devices came into play, designers had to begin prioritizing mobile-first web design. Nobody likes pinching and zooming in on a site in their mobile phones, after all. It’s no secret that today’s world loves to interact with visuals rather than huge blocks of texts. The importance of images on travel, multimedia, and e-commerce websites can be so prominent. And for a sight like wedding/event planning, the importance of images is even more crucial than ever. People would rather look at the visuals of a magnificent wedding than imagine scenes by reading large blocks of text. You don’t want to inconvenience your site visitors, now do you? Furthermore, adding a portfolio to the wedding/events planning site will act as a testament to the company’s success in event organizing. Offsite SEO are actions that you can take to promote your website on the world wide web. It’s a whole other avenue of promotion besides advertising. In order for NJAB Events to rank locally and nationally, every kind of SEO process had to be undertaken. For a company that specializes in weddings/events planning, it’s necessary to keep your clients posted and updated on the latest happenings, and everything else going on in the site. You don’t want to give the impression of being inactive and complacent. You want your clients to know that you’re a company with a thriving business. We added a blog to NJAB Events’ page for that specific purpose: to keep it updated, and constantly pumping new and fresh — as well as relevant — content for clients and new site visitors to see. An arbitrary way of gaining fame and notice is to be talked about or mentioned by other credible sites. You have to understand that everybody wants to be featured in other high profile blogs. You’re not alone in your quest for climbing the SERP rankings. For some of us, it’s difficult to speak to people face to face; nevermind reaching out to them online, right? But if you truly want that blog feature, it is necessary to not be afraid of reaching out. Be confident about your company’s capabilities, and stay true to your company’s vision. Be outgoing and genuine. Truly care about others if you want them to care about you — enough to get you mentioned on their blogs. Perhaps the most celebrated and famous way of promoting content to different people — stranger or friend, is through social media marketing. With careful planning and effective strategies, our team regularly promoted and updated posts and pictures on NJAB’s official page to keep loyal clients and new visitors constantly posted. And to maximize NJAB Events’ reach in the online world, our team and theirs invested in aggressive remarketing with Facebook Ads and Google Adwords. Remarketing is a clever way of connecting visitors to your website who haven’t made immediate purchases or inquiries. The purpose of remarketing is to position targeted ads in front of a defined audience that previously visited your website. This happens while they browse elsewhere around the internet. It is through remarketing that you cement your brand’s image, identity, purpose, and vision in your clients’ minds. Because as psychologists would determine it, the constant repetition of an idea or an image imprints into the human subconscious. After maximizing onsite and offsite SEO, and an extensive website redesign, Not Just A Box Events achieved its objective of wanting a highly responsive and attractive website design. And furthermore, the company gradually climbed the ranks on Google’s local search result pages. Nowadays, Not Just A Box Events ranks top 3 on all major non-branded keywords. And in addition to having these top ranking keywords, (Wedding Planner, Wedding Planning in Iloilo, and Iloilo Wedding Planner), the site also gained a 200% increase in organic site traffic. A responsive website that showcases the company’s services and capabilities is necessary to form a concrete image of the brand among its target audiences. Want more traffic ? Let our team from SEO services for wedding and event planning help you in improving your website performance.